leather or leather and Alcantara, and three colours: Ebony, Navy and Mocha. 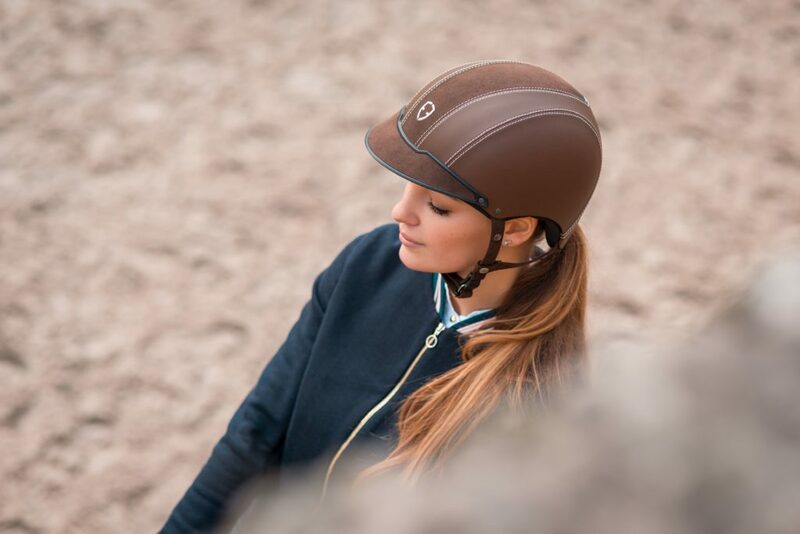 Because riding combines both strict standards and elegance, EGIDE helmets have dedicated their performance expertise to help improve equestrian style. Treated, full-grain leather, with or without Alcantara. A choice of three colours: Ebony, Navy and Mocha. Undeplus is in fine fettle. Inès could see this as soon as she entered his stable. What impressive pace he showed in the paddock this morning! And how effortlessly stylish Inès looks, in her training gear, with her Mocha Epona Alcantara. It’s the finishing touch to the casual elegance which she is known for, both in town and in the saddle. And of course she’s going to wear it on Sunday for the competition, since it’s the lightest and most comfortable helmet she’s ever worn. But also perhaps because it goes so well with the colour of her horse’s coat. Whatever happens, Inès and Undeplus will be at their very best on Sunday.